Foster, now aged 71, is a composer-pianist said to be "Australia's best-kept secret". He will be much less known here but shows the class of a man who trained at the Sydney Conservatorium, went to Paris (on the recommendation of Yehudi Menuhin) for seven years of study with Marcel Ciampi, then broke his arm so started serious composing. "Melody and harmony are paramount for me," he said in a 2008 Gramophone article. 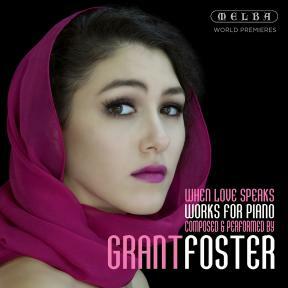 On this disc recorded last year he also impresses with his keyboard talents in seven works: Piano Sonata, two Romances, Six Preludes, an Elegy (in homage to Robert Helpmann), Ballade, and a reaction to an artwork inspired by Mussorgsky's music. Most tracks are world premiere recording. Verdict: Imaginative, emotionally charged music.